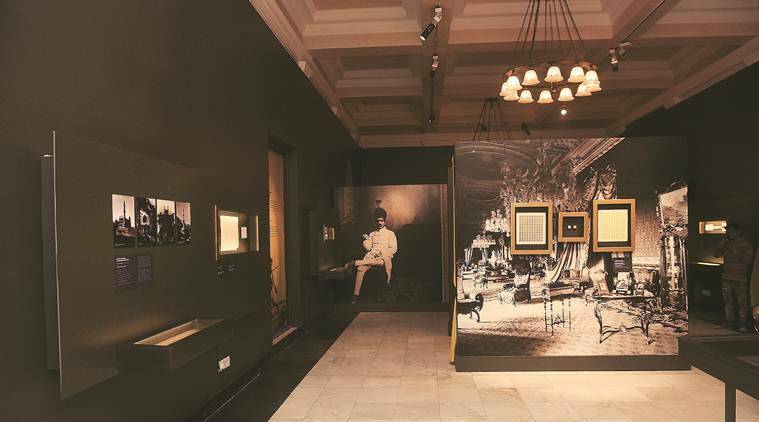 Featuring a profile of Queen Victoria, the world’s first adhesive postage stamp, Penny Black, was issued in May 1840, and this is where curator Pramod Kumar KG also opts to begin his exhibition titled “Property of A Gentleman: Stamps from the Nizam of Hyderabad’s Dominions”. Acquainting us with the global developments in philately, he swiftly moves to India, where the first stamp was printed not much later, in 1852, in Sindh. 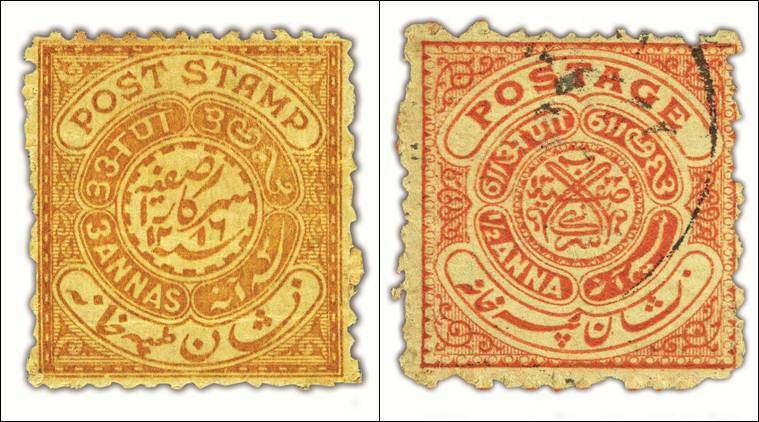 In 1869, came the first postage stamp of Hyderabad. 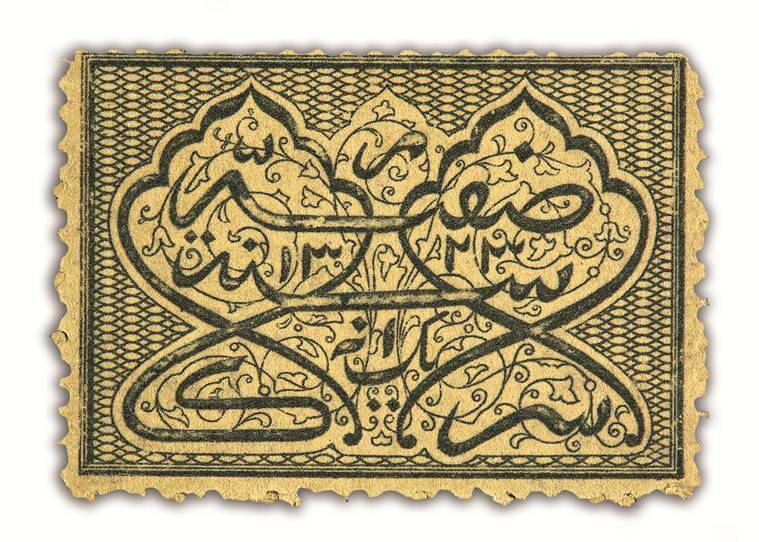 In olive green and with a one anna denomination the “exquisite stamp”, Kumar tells us, “was probably designed by an eminent calligrapher”. 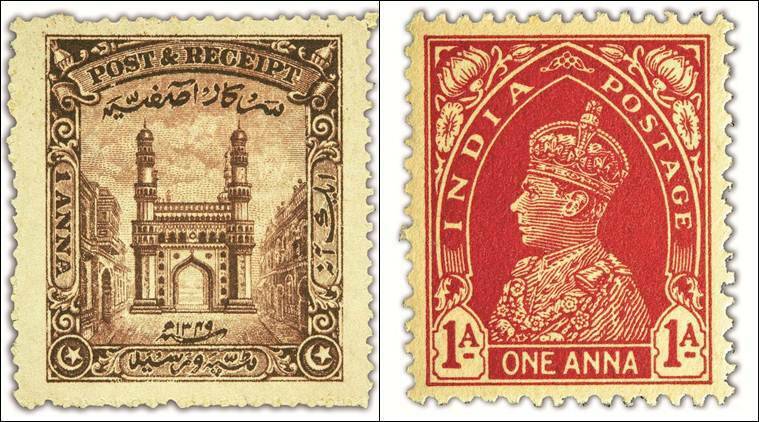 Being a traditional Muslim state, the use of human figures on stamps was forbidden, making the stamps from Hyderabad distinct and also compelling its designers to innovate. The vast territory also meant that the stamps used four languages — Marathi, English, Telugu and Persian (replaced by Urdu in 1930). 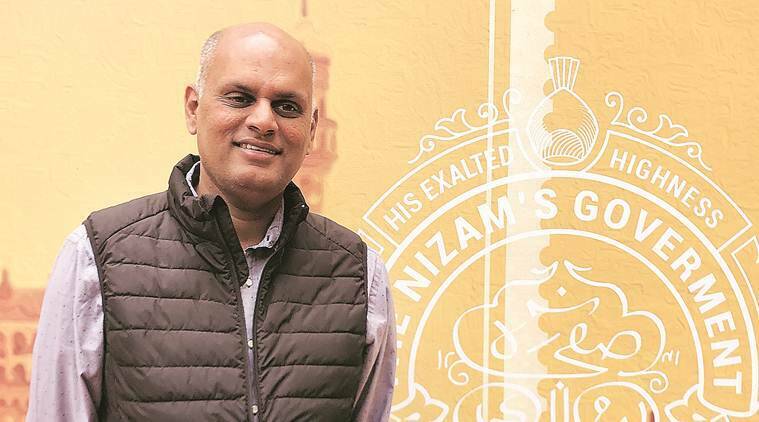 It was less than a year ago that Kumar was contacted by the Gujral Foundation to curate the exhibition that features the Ewari Family Collection, dating back to Postmaster General Nawab Iqbal Hussain Khan, who worked under Hyderabad’s seventh and last Nizam, Mir Osman Ali. “Through the exhibition we hope to convey the history and significance of stamps. These were important for communication and also had a symbolical meaning, with the emblem, seal and imagery,” says Kumar. Comprising over 150 stamps, the exhibition display has photographs of Hyderabad by Raja Deen Dayal, the official photographer to the Nizam of Hyderabad, as backdrop. The stamps, meanwhile, are carefully kept in custom-made box-frames with LED lights. “These have to be handled very delicately and protected from harsh light,” says Kumar, Managing Director of Eka Archiving. Carefully encased, he points out how the ‘Skeleton Stamps’ only displayed the outline of the text and design without any colour filled in and carried the monogram ‘Sarkar-e-Asafiya’. “The designing was done locally and works were sent to England, where plate engravings were created and sent back for printing of the stamps,” he says. One of the most interesting segments of the exhibition is the architectural series that feature prominent monuments from the Nizam’s domain — from the Buddhist caves of Ajanta to the Kakatiya Kala Thoranam at Warangal and the Charminar at Hyderabad. The then newly constructed monuments, including the Osman Sagar reservoir and the Unani general hospital can also be seen. “This is a Muslim ruler who had no qualms about using the image of a Hindu site,” says Kumar. While some of the stamps display printing errors “that make them more valuable”, there is also an exception to the general rule of not featuring a person on the stamp — the victory commemoration stamp issued on December 6, 1945, to recognise the support extended by Mir Osman Ali Khan to the British during World War II. It is inscribed with the words: “Faithfully Hyderabad War Purposes Fund 1939 — Till Victory” and has a mother and a child welcoming a solider who seems to be returning from war. “The Nizam not only extended monetary support to the British but his soldiers also fought for the British in Egypt. These stamps reveal such interesting histories and facts that one might not be aware of,” says Kumar. While the viewers can browse through postal ephemera that includes letters, court receipts, greeting cards and stationery, the exhibition also introduces them with associated terms such as the Dak Runner who “carried public and private mail using their speed inherent knowledge of inland routes” and Mail Plane, sharing how “the first official airmail was delivered in India”. Even as photo enthusiasts head to the Selfie Point to pose with themselves in the centre of a deconstructed form of the last stamp of Hyderabad before the princely state merged into India, Kumar hopes they also return from the exhibition with more interest in postal history.